Nearest Tube Aldgate East. 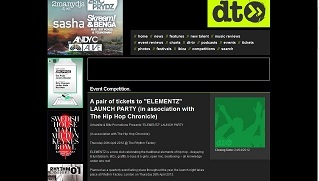 £8 entry all night. 18 & over event. Elementz will only happen every 3 months, so if you want to see hip hop culture represented to full effect, dont miss out tonight or you’ll have a long wait to see it again!! 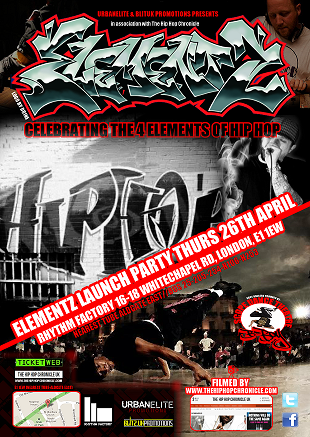 A new night celebrating the classic 4 elements, hip hop culture will be represented to full effect. 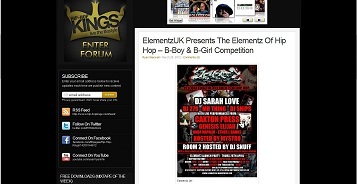 Room 2 is hosted by DJ Snuff (End of the Weak) and Johny Garcia, showcasing bboy battles, live graffiti & an open mic session. Its a massive night unlike anything around town right now, and as this is a quarterly event, you wont want to miss out on this one!! 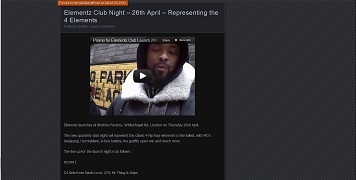 He is also receiving a massive amount of support from both sides of the Atlantic for the new video he appears in with Copywrite, Mystro & Iron Braydz “Royal Flush”. 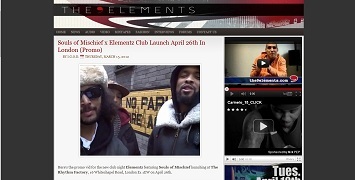 Top onlines Hip Hop DX, 2 Dope Boyz, 57th Avenue, The Jump Off UK, The Hip Hop Chronicle and many others have been all over this. Its an absolutely massive night. 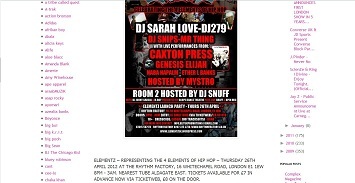 If youre in the area, into hip hop & had plans to do something else that night, change them! This is a quarterly event, so you’ll have to wait a minute for this kind of goodness to come around again!! 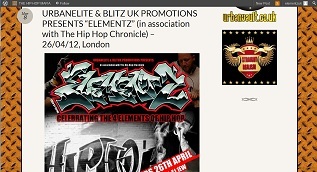 Elementz : presenting the best in UK hip hop and representing the 4 elements of hip hop to full effect. 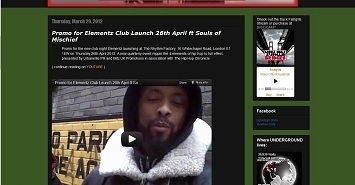 West London’s Mystro is the official host for the launch of Elementz at The Rhythm Factory, 16 – 18 Whitechapel Road, London E1 1EW on Thursday 26th April 2012. 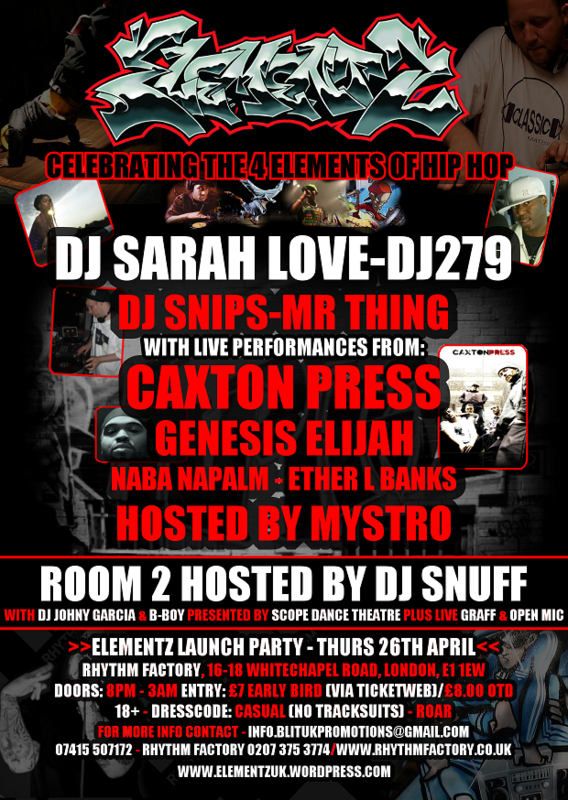 There are also live performances from Caxton Press, Genesis Elijah, Naba Napalm and Ether L Banks. These events will only take place every 3 months, so if you’re in London or the surrounding area and you’re into hip hop, you don’t want to miss this. Admission is £8.00 on the door throughout the night. 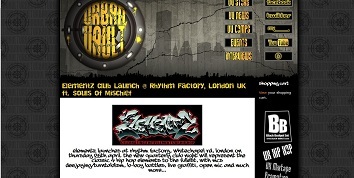 This is an 18 and over event and the venue’s dress code policy is casual, just no tracksuits folks ! 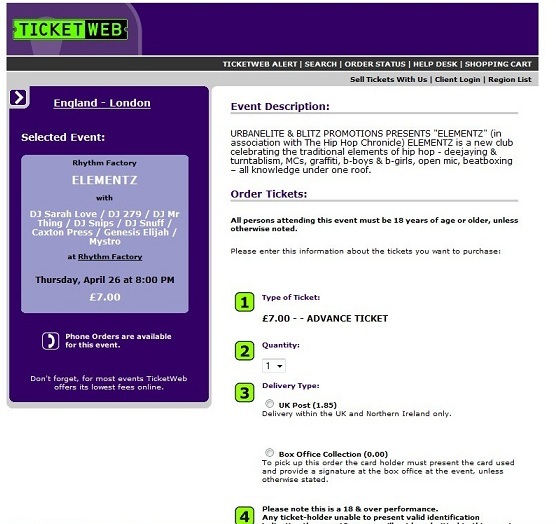 For more information call The Rhythm Factory on 0207 375 3774, email info.elementzuk@gmail.com, check the Facebook page www.facebook.com/elementzuk For those with twitter, connect with @ElementzUK or of course check in with the regular site www.elementzuk.wordpress.com and check the various pages which feature the different performing artists and djs.